This recipe is a great choice for the big game, but is also one of my favorites for a stay-at-home Friday night treat. It's simple, quick, and oh-so-good. You'll never have to order a barbecue chicken pizza again! Place flatbreads on baking sheet and spray with olive oil spray. 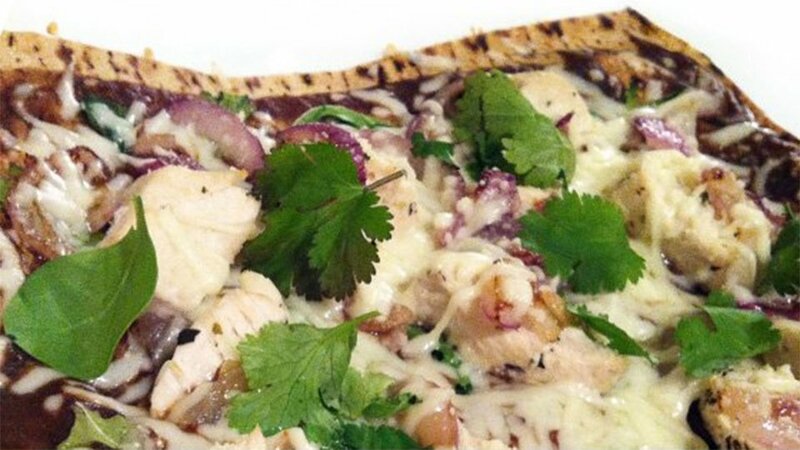 Spread 2 tbsp BBQ sauce on each flatbread. Layer arugula, caramelized onion, chicken and shredded cheese on each. Bake for 10-12 minutes or until edges are slightly brown. Top with chopped cilantro and enjoy!